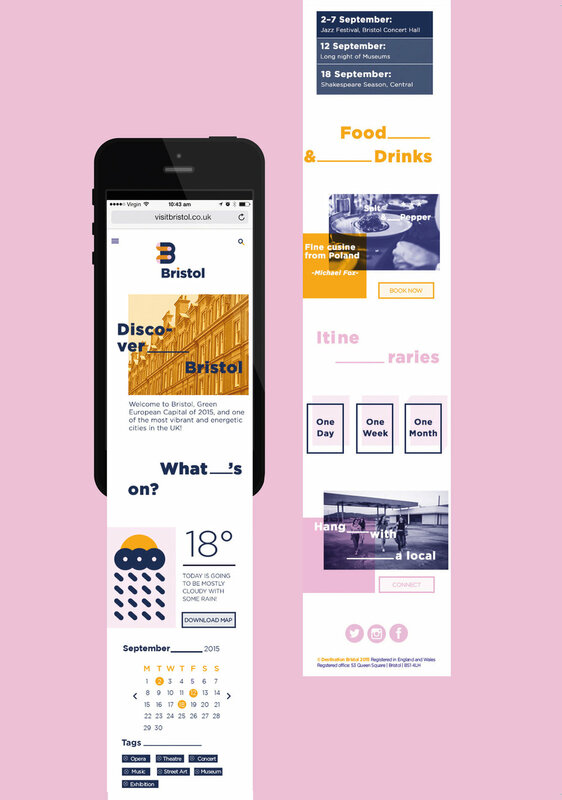 Branding Identity project for the city of Bristol. Each of the main three colours represents one of the characteristics of the city: Underground culture (blue), History (yellow), and Ecology (pink). For each category I've built a visual system of icons and patterns used for different assets: posters, tickets, wristbands and tote bag. Bold shapes and geometrical elements aim to build a visual identity of the city that appeals young travellers and at the same time speaks clearly to the locals.